Looking ahead to the 500th anniversary of the Reformation in 2017, the United Evangelical Lutheran Church of Germany (VELKD) started a Luther Garden in Wittenberg and invited each of the Lutheran Churches worldwide and also their ecumenical dialogue partners to plant a tree “as a sign of reconciliation and mutual understanding”. In one of his last official acts as President of the Pontifical Council for Promoting Christian Unity, Cardinal Walter Kasper personally traveled to Wittenburg in 2010 to plant a “Catholic tree”. Born in 1950 in Emmenbrücke, Switzerland, Kurt Koch studied theology in Munich and Lucerne. After his priestly ordination in 1982 he was assigned to parish ministry in Bern. From 1986 on he taught dogmatic and moral theology at the Catechetical Institute in Lucerne, while completing doctorate on the Lutheran theologian Wolfgang Pannenberg. Later he was professor of dogmatics, ethics, liturgy and ecumenical theology at the University of Lucerne. He has written over 60 books in German, including Eucharist, Heart of the Christian Faith (2006) and That All May Be One: Ecumenical Perspectives (2007). Fr. 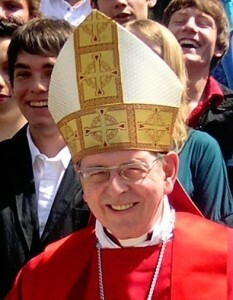 Koch was consecrated a bishop for the Diocese of Basel (1995-2010), taking as his episcopal motto the words from Colossians 1:18, “That in everything Christ might be pre-eminent.” He also served from 2007 to 2009 as the President of the Swiss Bishops Conference. On July 1, 2010, Pope Benedict XVI appointed Bishop Koch President of the Pontifical Council for Promoting Christian Unity and made him an Archbishop. This changing of the guard in the dicastery for ecumenism coincided with the fiftieth anniversary of its founding as a Secretariat by Bl. John XXIII on the eve of the Second Vatican Council. Archbishop Koch’s busy calendar since then indicates the breadth of his responsibilities. In August he presented two papers to the gathering of the “Ratzinger-Schülerkreis”, a group of the pope’s former students, who this year were discussing the interpretation of Vatican II; one of the talks was entitled “Fidelity to Tradition, Openness for the Future”. In September he accompanied the Holy Father during his official state visit to the United Kingdom. From there it was non-stop to Vienna for the twelfth plenary session of the Joint International Commission for Catholic-Orthodox theological dialogue, September 20-24. In October he attended the Synod of Bishops for the Middle East. In an interview after the first week, Archbishop Koch noted that the opinions expressed by the bishops and “delegati fraterni” (non-Catholic observers) and the general debate manifested the conciliar character of the Catholic Church. In his first official visit, Cardinal Koch traveled to Istanbul to talk with the Ecumenical Patriarch Bartholomew I and to celebrate the patronal feast of St. Andrew on November 30, an annual tradition since 1979. 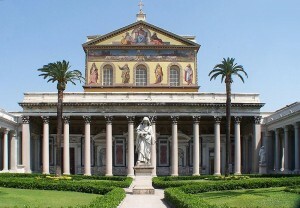 (An Orthodox delegation reciprocates in Rome on June 29, the Solemnity of Saints Peter and Paul.) On that occasion the Orthodox Patriarch called Cardinal Koch a “distinguished” theologian and congratulated him on the fiftieth anniversary of the dicastery for ecumenism, saying that it was a “courageous and historic decision” of Pope John XXIII to found it and to convene the Second Vatican Council. On January 1, 2011, Cardinal Koch took possession of his titular church in Rome, Nostra Signora del Sacro Cuore just off the Piazza Navona in the historic center of the city. The theme chosen for this year’s Week of Prayer for Christian Unity (January 18-25) was drawn from Acts 2:42, “They devoted themselves to the apostles’ teaching and fellowship, to the breaking of bread and the prayers”. As the Vatican website explained, “This theme is a call back to the origins of the first church in Jerusalem; it is a call for inspiration and renewal, a return to the essentials of the faith; it is a call to remember the time when the church was still one. The new Vatican point man for ecumenism maintains dialogues with representatives of other Christian faiths but on occasion also speaks generally about Christianity to society at large. In an interview on the radio program of the Cathedral in Cologne, he criticized what he called endless “tinkering” [Verballhornung] with Christianity in the German-speaking world, whereas Islam and Judaism are spared the politically-correct treatment. In response to recent violent attacks on Christian communities in Egypt and Iraq, he wrote in L’Osservatore Romano on January 18 that this should encourage all Christian denominations to stand up for human dignity. He spoke about an “ecumenism of the martyrs”, saying that it would be a positive sign if all Christians were to honor all those who have died for their Christian faith. 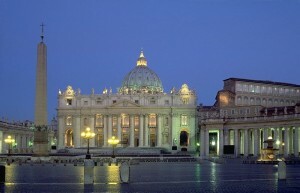 Kath.net: For years there have been speculations about a papal trip to Moscow. Both Benedict XVI and [Russian Orthodox Patriarch] Kyrill have indicated that such an undertaking cannot be the beginning but only a substantial result of the rapprochement between Rome and Moscow. For that, both theological and political prerequisites must be satisfied; is the process far enough along that there is a real prospect of such a meeting? Beyond a strategic alliance with Rome to fight against the progressive dechristianization of Europe, does Moscow have the ability to recognize the kairos [Greek for “right moment”] in salvation history and to say together with the Pope, of all people, “Ut unum sint” – “That all may be one”? Cardinal Koch: I cannot tell yet, since I will not travel to Moscow until [later in 2011]in order to go into this question in more detail. As a matter of principle I can only say that naturally there is something positive to this alliance. Together we must proclaim Christian values in society. But the encounter between the Catholic Church and Orthodoxy requires a foundation that goes much deeper. An alliance needs a foundation that is spiritual and theological. The unity of the Church must once again become the topic of discussion here, otherwise such an alliance may become something merely external after all. And Orthodoxy and the Catholic Church have more to give each other than just that. Generally I have the impression that ecumenism between Rome and Orthodoxy is taking much more time than we may have thought until now, and that we must come to an even clearer agreement as to whether we have the same goal in the first place, whether both sides really want the visible unity of the Church. This seems to me to have become somewhat questionable — although not from our side, where this continues to be the goal. Kath.net: In an interview with the Vatican newspaper, L’Osservatore Romano (September 15, 2010), you commented, “A great common foundation of faith unites us with the Orthodox, while at the same time there are cultural differences. With the world that resulted from the Reformation, on the other hand, the common foundation of faith is not as great, whereas the culture is the same.” On this basis is a true communion with Protestant Christians conceivable? Is there such a thing as ecumenism beyond a common foundation of faith, from a purely “pastoral” point of view? Cardinal Koch: My statement in L’Osservatore Romano was only a phenomenological description, how I perceive it, not a value judgment. I meant to make the point that in the West there is of course the danger that for many believers the cultural ties become more important than the fundamentals of the faith. For today we too have something like a “cultural Catholicism”. Let me explain. Historically there has been a “cultural Protestantism”, but today we also have a sort of Catholicism in which culture is more important than faith. This is why we always have the impression that nothing is happening in ecumenical dialogue with the Protestants. For us [Catholics] it is clear that ecclesial communion is possible only on the basis of a common faith, and that therefore this common faith must be sought and found, and found at an even greater depth than before. Now there is a completely different concept among the Reformed churches, which joined together in 1973 in the “Leuenberg Agreement”: the idea of an association of churches having different professions of faith. Here, then, they have abolished the basic notion that was shared by all churches from the early Church well into the twentieth century, namely that ecclesial communion presupposes a common profession of faith. The “Leuenberg Agreement” is quite certainly a suitable model for unity within Protestantism, but it is not a model that really leads any farther in ecumenical relations with Orthodoxy and the Catholic Church. For this model basically abandons the goal of visible unity and replaces it with the model of “reconciled diversity”. Yet the awkward thing about this description is that it is used by everyone but in very different ways. The Catholic Church sees “reconciled diversity” as a definition of the goal of ecumenism: differences must be reconciled, they can no longer divide churches. The Protestant churches, on the other hand, see in this model a description of the state of affairs today. And then of course they are on widely diverging paths. We must again come to an understanding of what we understand it to mean in the first place. Kath.net: Can you agree with the statement that true ecumenism can take place only on the basis of the truth and must never regard the call to conversion to Christ, the one and only “Dominus Iesus”, and to his Church as something secondary? To what extent does the document “Dominus Iesus” by the Congregation for the Doctrine of the Faith from the year 2000 determine the path of ecumenism? Cardinal Koch: First of all, it is strange that the Reformed churches get agitated about terminology, the fact that they are described [by Catholics]as “Ecclesial Communities”. But if you go to the homepage of the World Council of Churches [and click on “Who are we?”], you find that they are an association of “churches, denominations and church fellowships [= ecclesial communities]”, and nobody gets upset. But they have no idea whatsoever, now, what member group in that ecumenical council is a church, and which is a denomination or a church fellowship. That is why I think that it makes no sense at all if the churches of the Reformation have been unhappy only for the last thirty years that they are not described as Church in the proper sense. Today we have to conduct a long-overdue theological discussion about what each participant means by “church”. And until now that has happened far too infrequently. If the Reformation churches tell us what the nature of a church is for them, then a meaningful dialogue about it can also be conducted. And the much more fundamental question for me is the question of how the ecclesial communities that resulted from the Reformation understand the Reformation today. Looking ahead to the year 2017, one would have to clarify whether they understand the Reformation, now as before, as a break with Tradition, as the beginning of something entirely new, or whether they see the Reformation—as the Reformers themselves did — not as an intention to found a new church, but rather as a renewal of the Church. In this sense, the development of new churches, as the Lutheran-Evangelical theologian Pannenberg used to say, was an expression not of the success but of the failure of the Reformation. Accordingly, the ecumenical movement would be the only thing that actually addressed the real concern of the Reformation. Or, as the new President of the Federation of Protestant Churches in Switzerland always puts it: We are not Reformed Christians, we are reformed Catholics. After all, we have 1,500 years in common, and for 500 years we have been separated: We must come to an agreement about how we spent the previous 1,500 years together. Kath.net: With the Apostolic Constitution “Anglicanorum coetibus”, which the Congregation for the Doctrine of the Faith is responsible for implementing, new, clearer guidelines for the ecumenical dialogue with the Anglican church have been established. They have set in motion the return of Anglican bishops, priests and congregations to full unity with the Catholic Church; what do you think of this process? What consequences do you see for the dialogue with the Anglican church? Cardinal Koch: If someone knocks on the door of our Church and wants to enter and is a Christian, there is actually nothing else that the pope can do but open the door. I do not understand the polemics or the wrongful accusation that the pope is “fishing in troubled waters” [i.e. poaching]. As shepherd of the Universal Church, the pope has no other option, if people want to come into the Church, than to open the door. And that is a very positive sign. As for the effects on ecumenism with the Anglicans, it is helpful to know that within the Holy See there is a clear subdivision of responsibilities: “Anglicanorum coetibus”, the question of coming over into the Catholic Church, is within the competence of the Congregation for the Doctrine of the Faith. The Pontifical Council for Promoting Christian Unity continues to be concerned about the ecumenical dialogue with the Anglicans. With reference to this dialogue it should be noted that in past years more and more ethical questions have come to the fore. We have to deal with these in the ecumenical discussion. Next Article What Would Jesus Cut?